I have such a heavy heart this morning. The passing of Diane Disney Miller yesterday has left the world a little less magical, at least for now. D23.com has a beautiful tribute to Diane today, I encourage you to visit and ready their kind words and you don't want to miss their photographic tribute to her. The Disney Family Museum, founded by Diane, also has a fabulous tribute to this amazing woman today. In lieu of flowers and gifts, donations may be made to the memorial fund that The Walt Disney Family Museum has created in honor of Diane Disney Miller. Donations will support the museum's ongoing education efforts, exhibitions, and programs. Donations and cards can also be sent to the family through The Walt Disney Family Museum, attn: Director's Office; 104 Montgomery Street, San Francisco, CA 94129. A fabulous interview with Diane by the Saturday Evening Post. 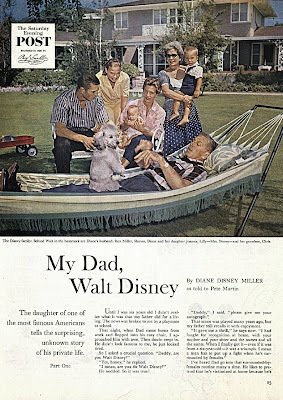 A must read for any Walt Disney fan. 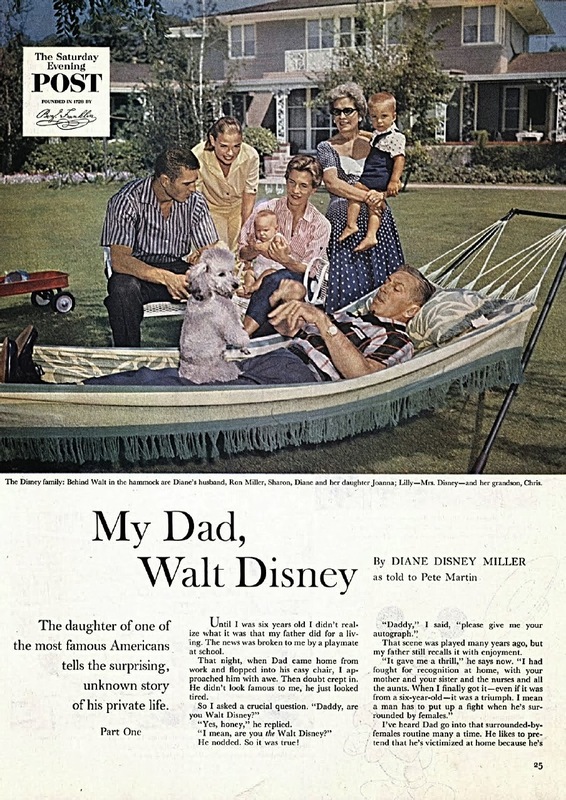 Thank you Diane Disney Miller for sharing your father with the rest of the world and in turn making it a much happier place. You lived a life that would have made him very proud, may you rest in peace. We will miss you.